We told you the other day that Nicki Minaj was replacing Cee-Lo Green in the Victoria Secret’s Fashion Show. From the looks of things, she did a pretty awesome job too. 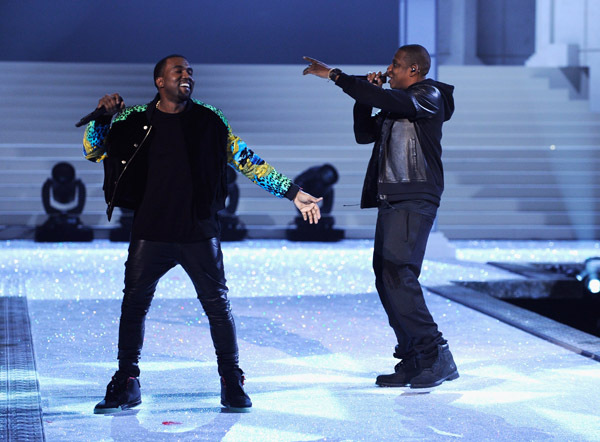 In addition to Nicki’s performance, Kanye West and Jay-Z (The Throne) were also in the building to perform. Check out more hot pics from their performances inside. From the looks of things, Nicki sported her signature colorful costumes with what looked to be a pink wet and wavy wig. She had a ton of men behing her, all matching her vibrant outfit. Nicki didn’t forget to bring her theatrics with her either. Looking at the photos, she was in full character, as always. 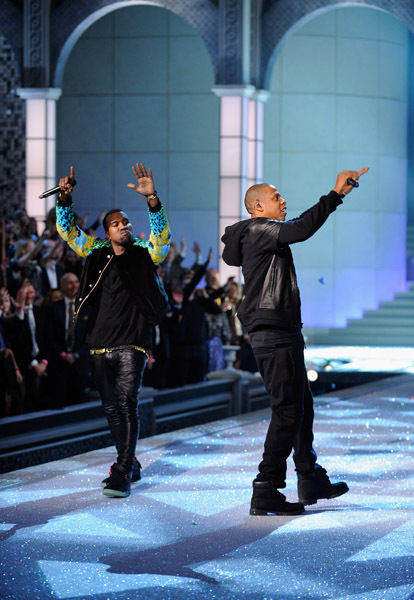 The Throne on the other hand, played it cool while wearing black (which seems to be Jay’s signature color). 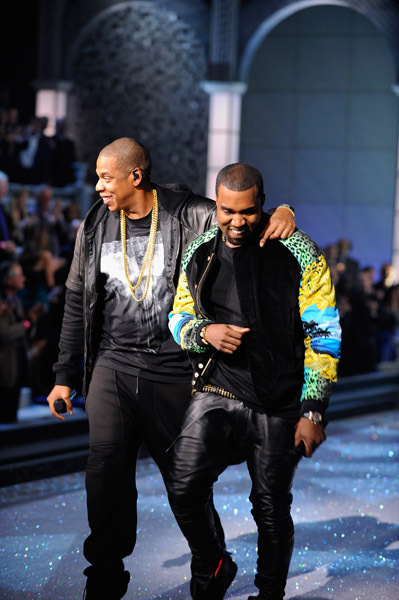 Jay-Z always seems to have a cool demeanor and Kanye seems to take it on as well whenever the two are together. 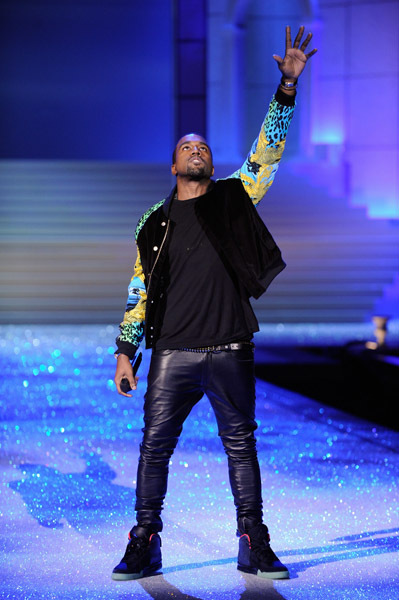 There were no crazy comments made about any ex’s at the fashion show last night (whew!). WATCH: Beyonce Dominates #VMAS2014 During Performance! Demetria don’t live in Denial River Valley all your life… You missed it homie, but I’m sure there will be re-runs of it. So you should be good!